What woman doesn't love shoes? 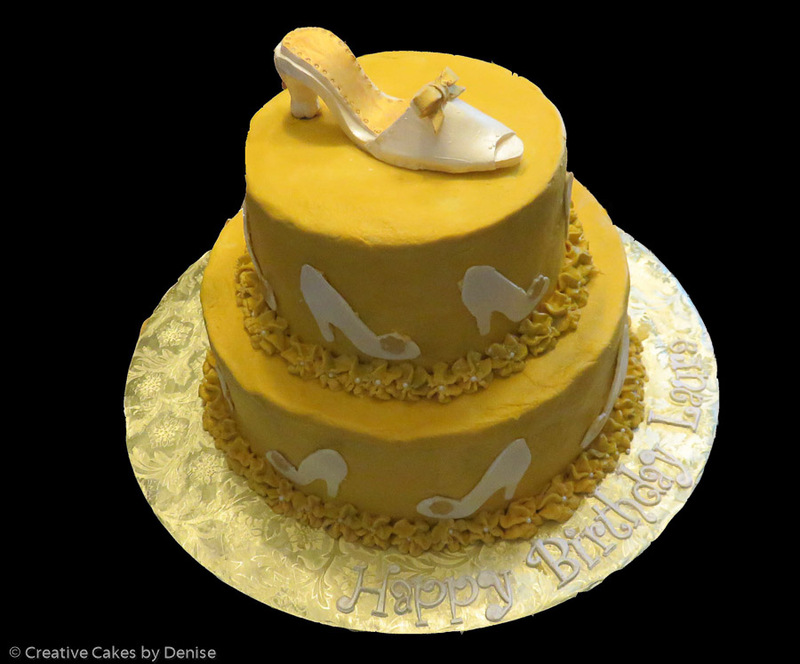 This cake features a hand-crafted, edible shoe atop the cake and shoe silhouettes surrounding the cake. The shoes sparkle like pearls, and the lining like gold.